Abbelone – Dedicated to the production of small lots of distinctive handcrafted wine, Abbelone Vineyards uses traditional Burundian methods to produce wine that delivers an intense yet delicate fruit flavor. 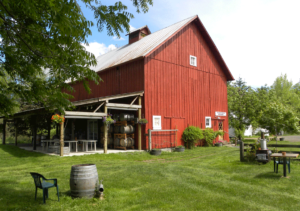 Saginaw– Enjoy Saginaw’s award winning wines while experiencing their beautiful country setting. 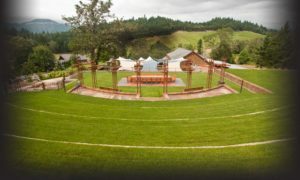 You will fall in love with their rustic tasting room that is located in their 100 year old farmstead barn. *Large indoor and outdoor seating area. Outside food is allowed at this location. Brandborg – Known for their world class cool climate whites and pinot noir, Brandborg incorporates the unique climate of Elkton to create truly special wine varieties. 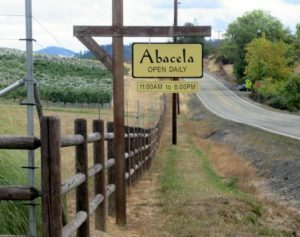 Abacela– Abacela’s award winning wine is created from handpicked estate fruit that is picked when optimally ripe. 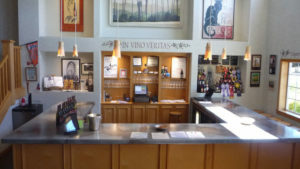 You will truly enjoy their crisp white wine and red wines that are deeply colored with intense flavors and aromas. Reustle Prayer Rock Vineyards – Using only grapes that are grown at their vineyards, Reustle Prayer Rock Vinyards produce small lots that preserve the distinctiveness of each varietal and clone. © 2019 Eugene Wine Tours.